Now that the weather has turned chilly, warm drinks are a welcome friend at the tailgate and during gameday. 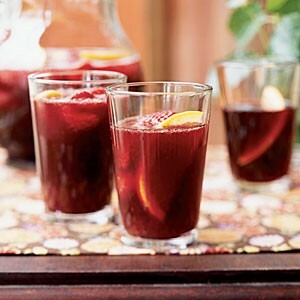 This is my favorite recipe for spiced wine or mulled wine. It's a very popular holiday drink too. It will make your whole house smell really good. Combine the cider, wine, OJ, honey, cinnamon sticks, ginger, and nutmeg. In a large saucepan, bring to a boil and simmer over low heat for 15-20 minutes. (You can also prepare in a slow cooker). Serve with a garnish of orange peel. Cheers!